Crooked Lane Books, 9781683313090, 304pp. 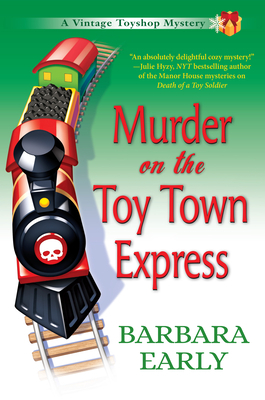 The trouble train is barreling down and Liz may have just bought herself a first class ticket in Murder on the Toy Town Express, Barbara Early's delightful second installment in her Vintage Toyshop mysteries. Barbara Early earned an engineering degree, but after four years of doing nothing but math, developed a sudden allergy to the subject and decided to choose another occupation. Before she settled on murdering fictional people, she was a secretary, a school teacher, a pastor's wife, and an amateur puppeteer. After several years living elsewhere, she and her husband moved back to her native Western New York State, where she enjoys cooking, crafts, classic movies and campy seventies television, board games, and posting pictures of her four cats on Facebook. This is her fourth mystery, and the second in her Vintage Toyshop series.